Alistair Dobbin was a GP (Family Doctor in the National Health Service) for 30 years with a passion for exploring the mechanisms of emotional distress. He studied NLP and Hypnosis and ran an NHS clinic for mental health referrals for 10 years in Edinburgh. 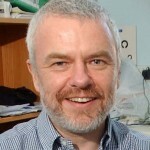 He is now a researcher and lecturer with Edinburgh University and together with Sheila Ross runs the Foundation for Positive Mental Health, a charity dedicated to promoting the use of psychoeducation combined with audio based mental training programmes across primary and secondary care, for workplace initiatives and ongoing skills for wellbeing. We have run workshops for over 1,500 healthcare workers. Along with Sheila Ross they evolved Lars Eric Uneståhl’s Integrated Mental Training into Positive Mental Training a widely used (in the National Health Service) health service programme for emotional distress embedded in an app approved by NHS digital ‘feeling good: positive mindset’. In His keynote speech he will introduce the research they have been involved in with MacGill University/University of Quebec and discuss the significance of their findings about the key links between memory structures and emotional regulation elicited by joint research and the applications to diverse fields, across society, education, and health services and the science of NLP. For more information see the website http://www.foundationforpositivementalhealth.com .